The Eastern Division AACA National Fall Meet takes place each year during the 1st full week in October. The Hershey Region began hosting the show in 1955 and has done so each year since then. It’s like a pilgrimage for those of us who have attended for decades, and offers one of the most hands-on old car experiences you’ll ever have. 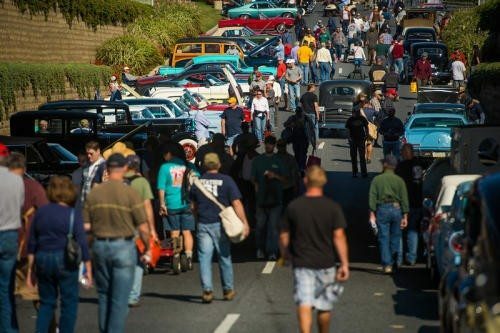 With an amazing car corral, the largest swap-meet field around, AACA Judging, and great food and entertainment, you’ll run out of money and energy before you’ll cover all of Hershey. The meet is located in beautiful Hershey, PA on the grounds and parking lots surrounding Hersheypark and The Giant Center. Hershey is considered one of the largest antique automobile shows and flea markets in the United States. Join Heacock Classic once again as we enjoy the best classic auto-marketplace of the fall season. It consists of over 9,000 flea market spaces, over 1,000 car corral spaces, and approximately 1,500 show cars. Each year the show attracts visitors from all over the United States and many countries throughout the world. Some of the most unusual cars and parts can be found at Hershey. If you love antique cars, Hershey is the place to be in October.